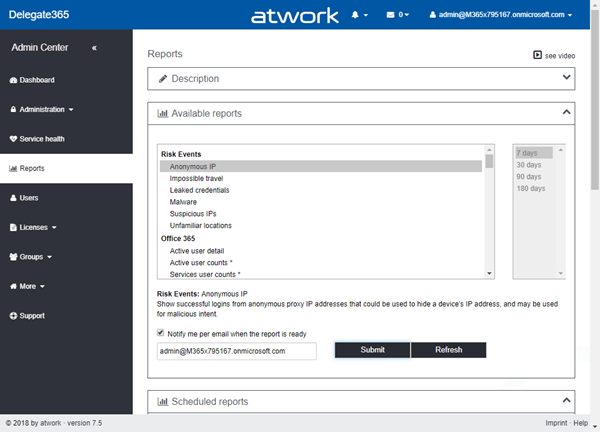 The report categories are Azure Active Directory, Risk Events, Office 365, Microsoft Teams, Skype for Business, Yammer, SharePoint, OneDrive, Exchange, and Delegate365. 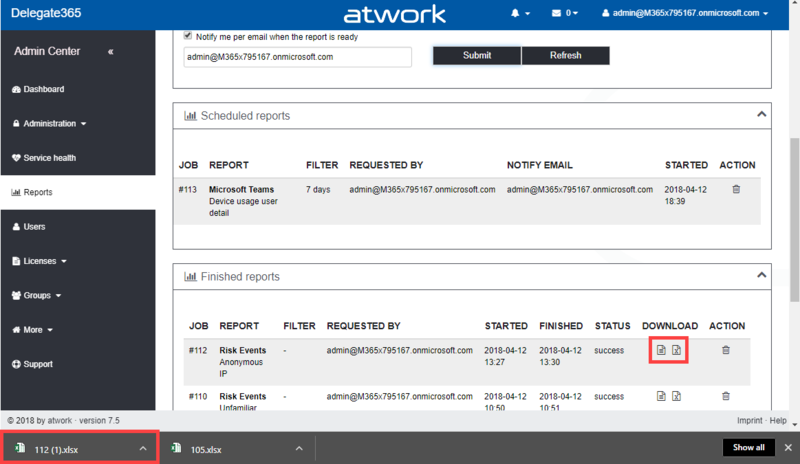 The reports are generated from the Microsoft Office 365 APIs. 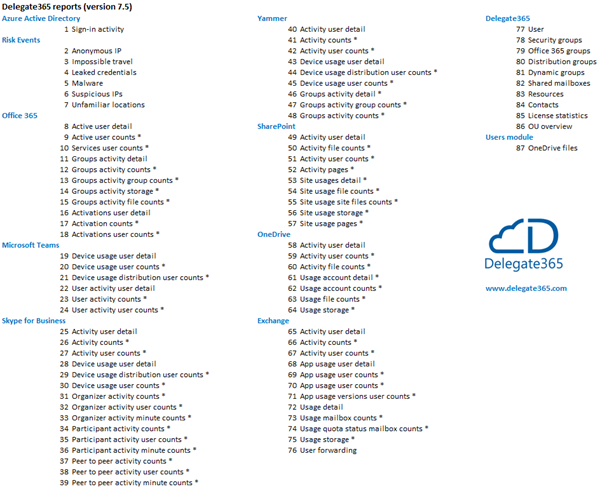 The Delegate365 reports deliver data as seen in Delegate365. Report #87, the "OneDrive files" report, is located in the Users page if a user is selected, but follows the same principle as all the other reports.